Was ist das Welcome Dinner? "We had a great time today with the wonderful Ayman and Amora from Syria. Together with their kids they arrived 6 weeks ago in Mainz via Turkey, Greece, Macedonia, etc. Many parts they travelled just on foot. 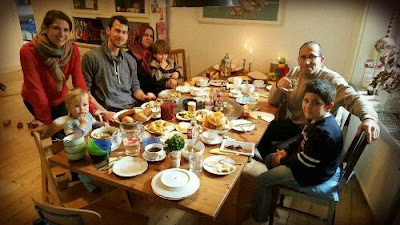 We prepared a huge brunch at our place and I picked them up in their Erstaufnahmelager. A place I can't imagine staying longer than some days. We learned a lot about the situation in Syria, we learned some Arabic phrases and in the end it was just a great way of spending the morning. We'll definitely stay in touch with Ayman. 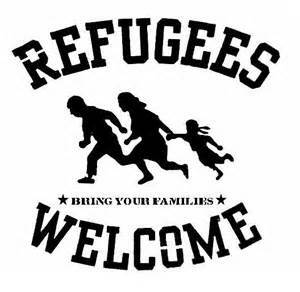 The "Welcome Dinner" organization is present in most German towns. Give it a try, it's a great initiative."